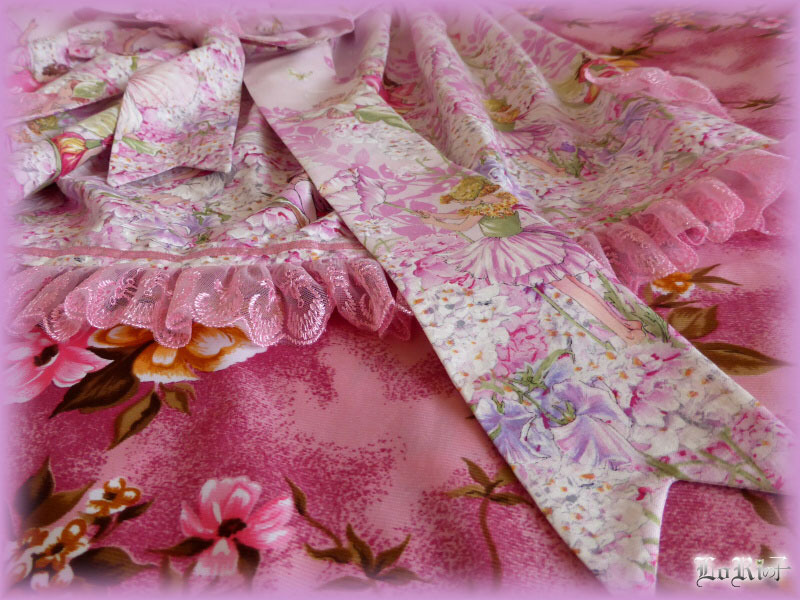 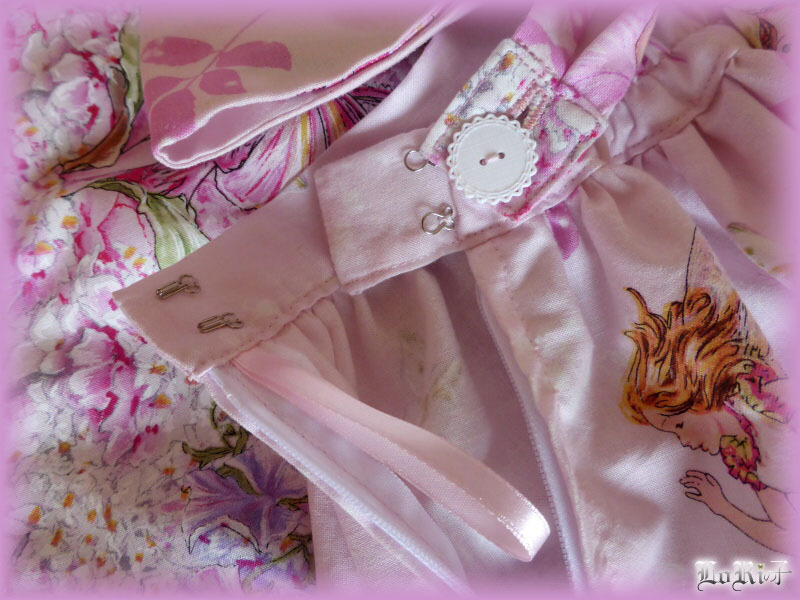 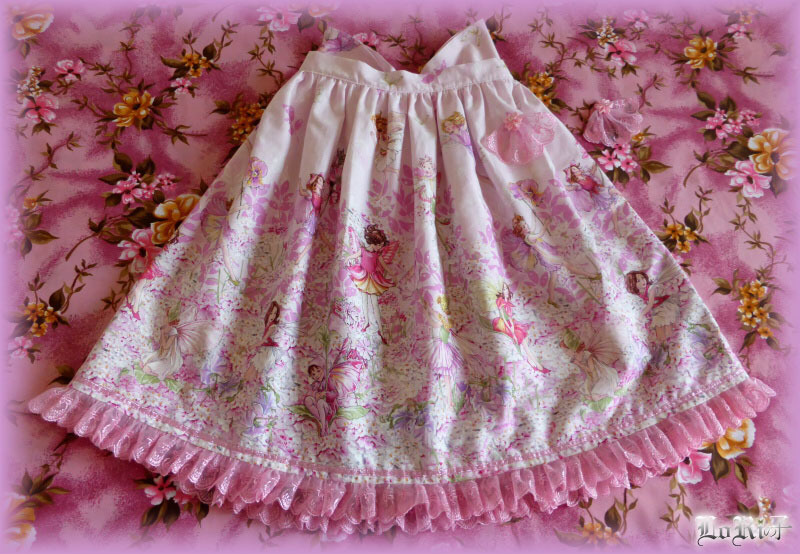 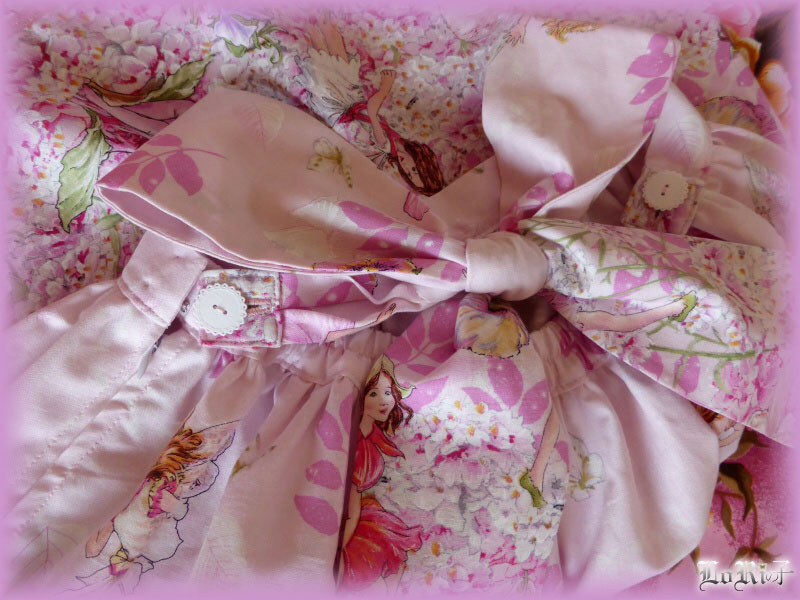 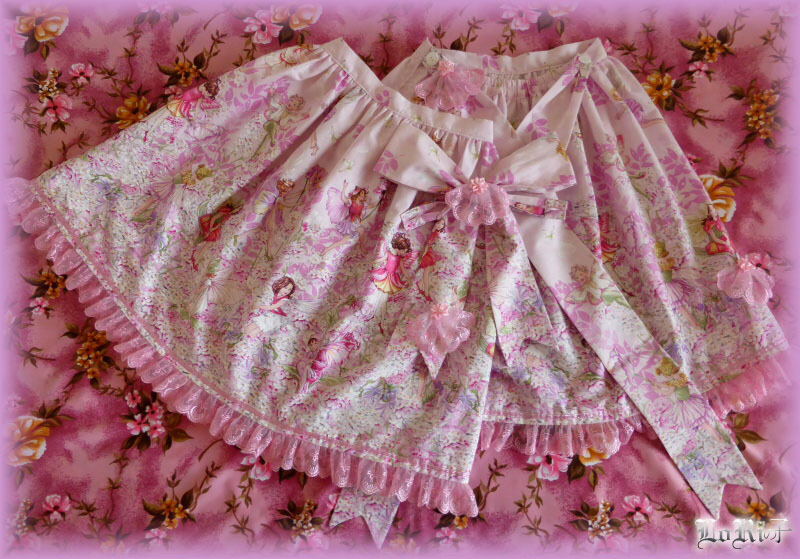 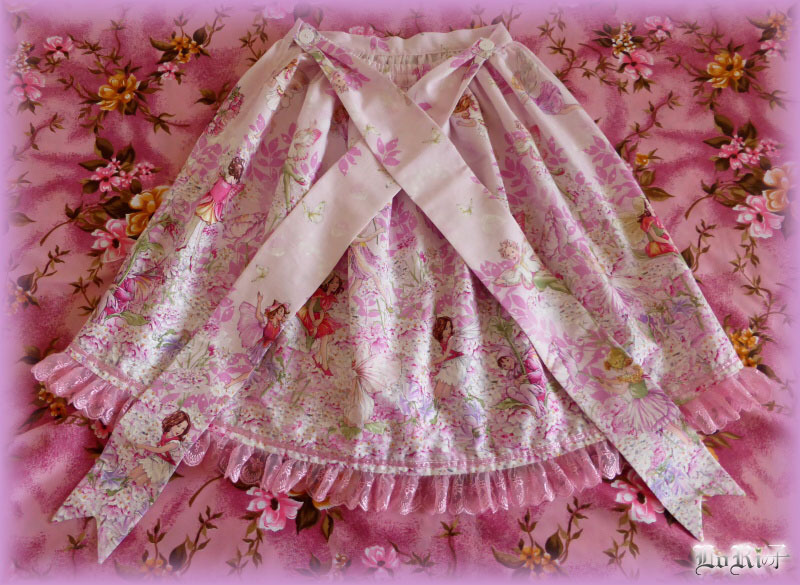 Skirt Lilian Garden is presented mainly by beautiful print of bloomed garden and tiny fairies, all in pink colors. 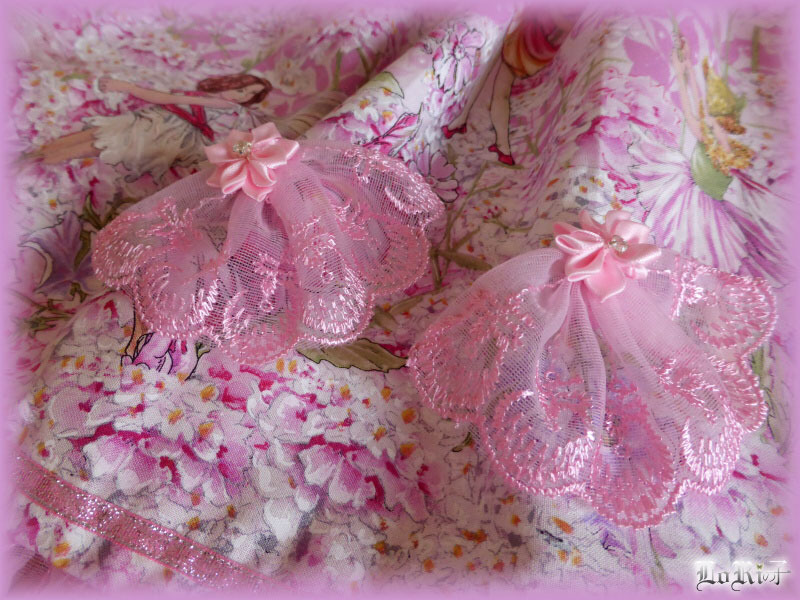 The bottom edge is richly frilled with lace, which has been used on two flower pin decorations as well. 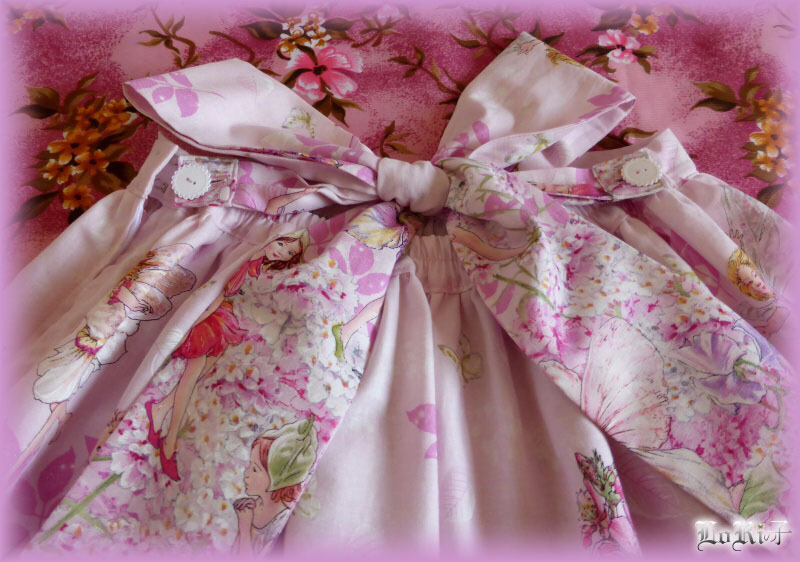 Waist is decorated with detachable waist ties from the same print. 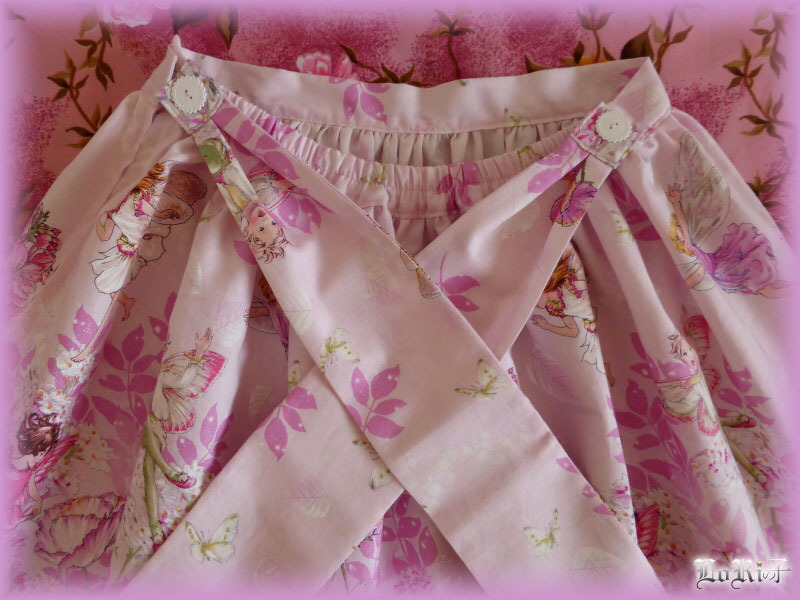 With incoming spring season the skirt is ideal for walks in flower-bloomed gardens.